Our A/C systems can handle the Canadian summers! Our expert plumbers will take care of any problems you've run into. We offer comprehensive heating services. 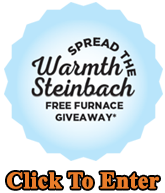 Everything from simple tune-ups to complex repairs and full heating system planning and furnace installations! Does your home get too hot in the summer? Our A/C installation technicians can set you up with an energy-efficient system that will drastically increase your comfort without compromising energy costs. We are Steinbach and Morris Manitoba's premier plumbers. Contact us with any problems or new home plumbing setups you need professional help with! We do the job right the first time, every time. Free Estimates on New Equipment Purchases and Installations! Welcome to Brown’s Plumbing and Heating! Brown’s has been taking care of its customers air conditioning and heating repair, service, and installation needs in Morris, Steinbach and surrounding areas for 45 years. Our reputation for first-class air conditioning and heating service and repair is unmatched. This type of success is not accidental. It’s the result of great people, outstanding products, and loyal customers. 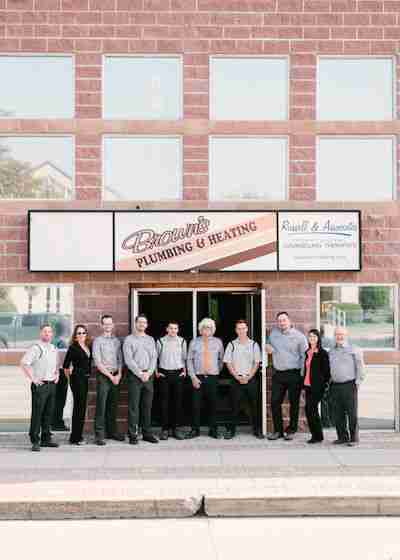 In 2009 Brown’s successfully expanded, adding of another branch in Morris, which has allowed us to bring the same level of air conditioning and plumbing service, repair, and installation to the “Big M”, as well as the surrounding areas including Steinbach. While there are many reasons why Brown’s Plumbing and Heating has been able to achieve a high level of customer satisfaction for our air conditioning and plumbing services, Brown’s Plumbing and Heating consistently impresses our customers for several reasons: head-to-toe professionalism; we arrive on time; we give our customers up-front pricing; and we stick to a quote! No surprises, no headaches. It’s that simple. See how much you can save with the Energy Savings Calculator! Call Brown’s today for the finest air conditioning and plumbing service, repair, and installation in the industry! We’d be happy to hear from you.